This alluring game of chance has made it to the living rooms of millions of homes, where gambling enthusiasts can play it at hundreds of online casinos. But since the virtual gambling industry is constantly evolving, desktop casinos quickly gave way to a new trend – mobile gaming. Roulette is a game practically anyone has heard of, even if they have never set a foot in a casino. Indeed, people have been obsessing over this classic game of chance for three centuries now. Roulette quickly gained great traction among casino goers after its introduction to 18th-century gambling establishments and became an overnight sensation. So much so, that Russian writer Fyodor Dostoyevsky went as far as publishing an entire novel where he related his experiences at the Baden Baden roulette tables. The majority of renowned casino operators have taken advantage of the latest advancements in technology, providing roulette players with the opportunity to enjoy their favourite game on the go. Such operators either run HTML5-based mobile casinos or have created dedicated downloadable applications for widespread hand-held devices. Most of the commonly played variants of the game like American, French, and European Roulette are available for mobile play, along with less standard options you cannot find at landbased casinos. But before you jump on the bandwagon and start playing the game for real money on your iPhone, there are several key things you need to know about mobile roulette. In the following article, we discuss compatibility and compare desktop and mobile roulette games. We finish off by explaining the peculiarities of five of the most popular mobile variants of the iconic game. So before you place your first bet on red or black when on the move, go through this short guide to learn everything you need to know about mobile roulette. Gone are the days when desktop online casinos were the only option for players looking to place a few bets on roulette from the comfort of their homes. Gaming on the go has become the latest rage in recent years but is there any real difference between the two platforms? To answer this question, it would be best to draw a brief comparison between the two. To begin with, the entire experience of playing roulette on your mobile has quite a different feel than enjoying the game on your desktop computer. When mobile roulette games were first introduced, the games were rather clunky. Experiencing lags and freezes was common. This issue was fixed thanks to the recent advance in mobile technologies and the introduction of the 4G network technology. Today, mobile roulette games play just as smoothly as their desktop counterparts, provided that you have stable enough Internet connection. Mobile roulette players normally have a choice between two types of connection. Cellular data connections, especially the 4G, are reliable and offer a great level of convenience but sometimes it may happen so that the connection is lost. Because of this, players using a cellular Internet connection are recommended to install a dedicated casino application on their devices as opposed to playing in their phones’ browsers. Most downloadable applications would save the player’s progress, so that the session resumes as soon as the signal comes back. What about screen space optimisation? Playing roulette on the go may be a bit tricky since some smartphones lack sufficient screen space and players are unable to see exactly what is going on the screen. The game control buttons are sometimes hard to tap because of their small size. Your finger may slip up so that you tap the wrong button. From this perspective, desktop play appears more convenient and appealing. Luckily, some software developers have optimised their roulette games for mobile play specifically, offering an uncluttered interface that works well on smaller-sized screens. For instance, players first get to see the table layout only where they can position their chips in the respective grids. You use a sliding motion to display the different chip denominations. Once the bet is placed, the layout gives way to a larger rendition of the roulette wheel so you can see the spinning of the ball and the winning number. Insufficient screen size is, of course, not a problem when one loads their favourite roulette variation on their tablet. Visual quality is another aspect in which mobile and desktop roulette games differ. It makes sense that the quality of your hand-held device and the speed of your internet connection do play a significant role in how smooth the animations are displayed. However, if your smartphone’s capacity is on par, you will not experience any lags or disconnections. Moreover, it will instantly strike you that the visuals are even clearer and brighter, which is understandable due to the higher resolution of your touch screen. One thing you should consider when you play roulette on your phone is battery life. Advanced roulette games with crisper graphics and animations are more demanding and can easily drain your phone’s battery. It would be a good idea to keep an eye on how much power you have left to prevent yourself from ending with a dead phone while outside. One solution, albeit a slightly inconvenient one, is to visit an electronics store and invest in a portable charger. On the whole, mobile roulette games are light-weight compared to more demanding casino offerings like slots. Above all, you get to enjoy an increased level of flexibility as you literally carry your favourite game of chance in your pocket. The only shortcoming is that desktop casinos would normally offer a greater number of games in comparison to their mobile counterparts. Last but not least, many mobile casinos, similarly to desktop ones, offer live-dealer games of roulette, providing you with the opportunity to enjoy an interactive and authentic gambling session while stuck in traffic or during your lunch break. Of course, it is vital that the mobile roulette games offered by your casino of choice are compatible with the portable device you own. In most cases, operators offering mobile roulette provide players with two options, the first one being downloading their dedicated mobile apps. These are normally compatible with smartphones and tablets running either on iOS or on Android. The iOS applications can easily be found at the official Apple Store. Android-users are recommended to download theirs directly from the website of the casino since Google Play has a policy of banning real-money gambling applications from its Google Play Store. Since memory space can be a huge issue for some players, many mobile gambling operators have dropped flash technology in favour of HTML5. This markup language is universal in that it allows you to load multimedia content, roulette games included, on your device without having to install any third-party browser plug-ins like Adobe Flash. Instead, you will be able to load your favourite roulette variations directly in your phone’s browser regardless of what operating system it runs on. In-browser play is usually possible on all smartphones, running on Android, iOS, Windows OS, and Blackberry OS. More and more mobile casinos offering the game of roulette have optimised their websites for gaming on the go, so it matters not whether you are using the latest iPhone or an older generation Android-based device. One of the few disadvantages of in-browser play while on the move results from the slightly lower quality of the visuals and animations. Because of this, many roulette aficionados prefer to register at mobile casinos where downloadable apps are available. More and more software developers are adopting the practice of optimising their latest releases for mobile play. Some games were even designed particularly for smartphones and tablets. Each mobile roulette variant has its own tweaks and peculiarities. Continue reading to learn more about the most interesting mobile roulette variants out there and choose the one that best works for you. Software developer Playtech takes the classic game of chance to a whole new level with its premium version of European Roulette. The game is equipped with a beautifully designed roulette table and detailed wheel. Since it is part of Playtech’s advanced Premium Series, it comes with improved graphics and sounds as well as a bevy of extra game features which aim at enhancing the experience of roulette players. You get to customise your gameplay by changing the colour of the table’s felt, the angle of view, and the wheel’s direction of rotation. Additionally, you can track the results of previous spins, save several of your favourite bets, and see detailed statistics. Other than that, the game plays on the standard European wheel, with a single zero and numbers 1 through 36 for a lower house edge of 2.70%. 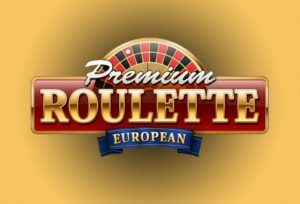 Premium European Roulette is compatible with most hand-held devices running on Android, iOS, and Windows OS. If you are looking to kill some time while waiting for a friend, why not give Playtech’s 101 Roulette a go? The game offers an interesting twist and a range of cool features to further customisation. One of the most interesting functionalities, and one that is impossible to find in other providers’ games, is the Lucky Numbers bet. It enables players to automatically bet on all numbers surrounding their preferred number. It makes sense that this is possible only when you play straight-up on individual numbers. The Quick Bet function is just as handy as it allows roulette fans to bet on all the numbers, contained in the same column or row with their selected numbers. Table coverage is also on display. This mobile roulette game is interesting in that it offers significantly larger payouts in comparison to the standard variations. Here a winning straight-up bet pays 100 to 1 because the roulette wheel is larger and contains 105 divisions in total. There are 100 red and black pockets, the single zero and four additional sectors you can bet on, each one represented by a playing card’s suit. Other than that, the game follows the standard roulette rules and plays seamlessly on both desktop and mobile devices. If you are bored enough while waiting for your bus to brush off the higher house edge, why not drop by at a Microgaming-powered mobile casino and try the developer’s rendition of American Roulette? The double-zero variant that is part of the Gold Series is especially easy on the eye thanks to its improved gameplay and clearer graphics. This is a step forward from the original rendition of American Roulette, created by Microgaming. The developers have made sure the game works seamlessly on portable devices like those running on iOS, Windows OS, and Android OS. Note that while mobile-compatible, American Roulette Gold requires certain system specifications and may not load on older devices that do not meet said specifications. The game plays on a double-zero wheel, hence the higher house edge of 5.26%. Other than that, it supports all the common bet types of inside and outside wagers, plus the five-number bet on 0, 00, 1, 2, and 3. We would not recommend this bet as we find its house edge of 7.90% appalling. Other than that you will enjoy a number of useful features with the mobile version of the game, including History, Statistics, and Autoplay. Playtech is known for its innovative approach towards game development and 1000 Diamond Bet Roulette further proves the ingenuity of its software specialists. The mobile version of the game is a favourite with many roulette enthusiasts since it plays on an enlarged wheel which features a total of 105 pockets instead of the usual 37 or 38 divisions. There are 100 alternating red and black pockets and five additional sectors, reserved for five diamonds of different colours – blue, crystal, red, green, and purple. Winning bets on any of the diamond propositions offer incredibly high payouts of up to 999x the initial wager. The shortcoming of playing at such a large wheel is that the odds of hitting an individual number (or diamond) decrease to 104 to 1. Still, experimenting with a diamond bet is worth it once in a while considering the tasty amount your winning bet can earn you. Other extra features that work to the advantage of the player are Quick Spin, Lucky Numbers, and Turbo Mode. If you feel like the close-ups of winning numbers take too much screen space, you can easily disable the wheel Auto-Zoom feature from the game’s settings. More importantly, the game plays smoothly on both desktop and commonly spread mobile devices so you can enjoy it wherever you are. With Roulette Touch, the software developers over at NetEnt have created a rather visually appealing mobile variation of the classic game of chance. This is a single-zero variant of roulette where you get to enjoy a reduced house edge since there are only 37 pockets on the wheel in total. Lots of attention has been paid to the details. The game appears even more realistic when played on mobile. Standard rules of single-zero tables apply but the La Partage rule is, unfortunately, not valid here for even-chance propositions. The developers have resolved the issue with limited screen space rather smartly – when the game first loads, players get to see only a close-up of the layout. They can select their preferred chip value by sliding their fingers over the available denominations. When you tap on the layout’s grid, make your bets, and hit Spin, the layout would give way to a close-up of the rotating wheel. The winning number also zooms in at the left side of the touch screen. Additionally, the game offers a variety of useful functionalities including Quick Spin and Autoplay, where you can go through up to 1,000 turns without tapping the Spin button. Roulette Touch is compatible with all widespread smartphones and tablets that utilise Android OS, iOS, and Windows OS. Using a 4G cellular network connection is advisable as 3G users may experience slight lags when the wheel spins.